May 17, 2011 Dear colleagues and partners! TAIF-NK PSC will take part in the XIX International Specialized Exhibition “Gas. Oil. Technologies -2011” to be held from 24 to 27 of May,2011 in the Sport Palace of the city of Ufa. April 26, 2011 Congratulations on the victory! 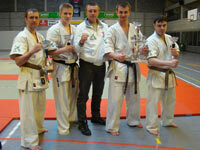 Due to the support of TAIF-NK, a Kyokushin karate national team of Tatarstan Republic participated in the World Championship, where it gained a flawless victory. By the decision of TAIF-NK PSC shareholder, the 2010 Annual Report, annual accounting reports for 2010, including the 2010 Income Statement, have been approved, net profit received according to the results on 2010 has been distributed and TAIF-NK PSC Board of Directors has been elected. The annual accounting reports of TAIF-NK PSC for 2010 is approved by the Decision of Shareholder of TAIF-NK PSC on April 25, 2011. April 15, 2011 A 2011 TAIF-NK PSC conference to approve a staff was held. On April 14,2011 TAIF-NK PSC was held the conference of the staff to summarize the results of a collective labor agreement performance in 2010, also a collective agreement for 2011 was approved. 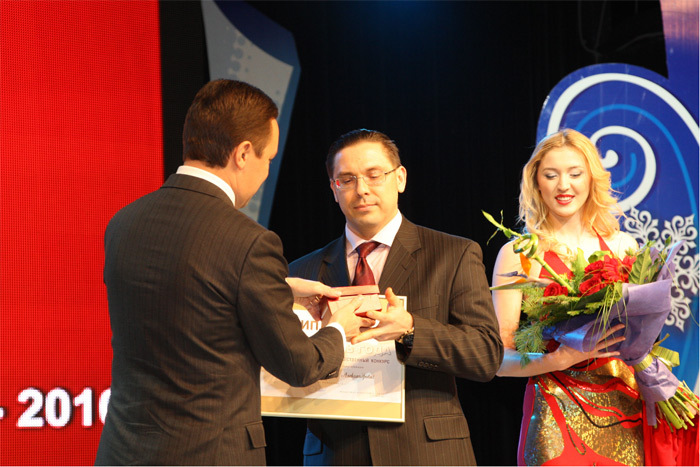 April 11, 2011 TAIF-NK won the competition “100 best organizations in Russia. Ecology and Environmental Management”. Efficient performance and high responsibility of TAIF-NK in the field of environmental protection and provision of environmental and industrial safety was awarded once again. TAIF-NK was awarded the Golden medal and a prize winner diploma in the competition “100 best organizations in Russia. Ecology and Environmental Management”. On December 29 the awarding ceremony for winners of the republican competition "Manager of the Year 2010" has been held at Korston Hotel & Mall. November 29, 2010 TAIF-NK PSC is a winner of the competitions “100 best goods of Russia” and “Best goods of the Tatarstan Republic” in 2010. The certifying authority “Bureau Veritas Certification” has approved the high level of TAIF-NK PSC’s jet-fuel production system functioning. From July 01, 2010 to November 17,2010 a certification agency OOO TrudEcologia carried out certification of labor protection work in TAIF-NK PSC.